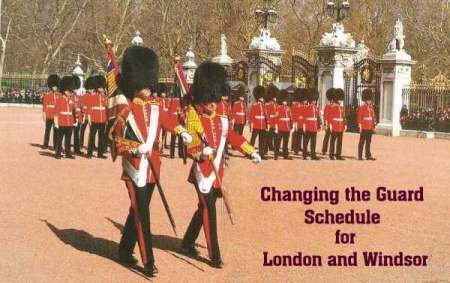 Due to demand, it is necessary to enter an online ballot to obtain tickets to attend the Queen's Birthday Parade. Entries to the ballot can be submitted during January and February 2019 only. Children must be in possession of a ticket. There are limited wheelchair spaces for all the parades. Separate applications are required for this facility. No refund can be given if the events are cancelled for reasons beyond the control of the organiser. The Queen's Birthday Parade: Morning Dress, Lounge Dress, Lounge Suit or Jacket and Trousers, equivalent for the ladies (no denim). Military personnel may wear Ceremonial Day or other Service equivalent. Colonel's Review: Lounge Suit or Jacket and Trousers, equivalent for the ladies (no denim). Major General's Review: Smart Casual (no denim). Hats are optional but recommended in the case of hot weather. NON COMPLIANCE WITH THE DRESS CODE MAY RESULT IN REFUSAL OF ENTRY. The processions can also be viewed from The Mall. Events begin at approximately 10am. 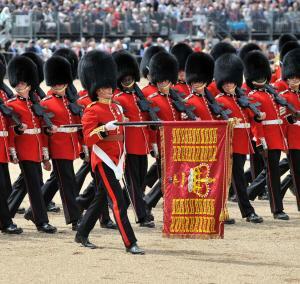 The Queen's Birthday Parade is also broadcast live on BBC Television in the UK with the fly-past at 1pm.